Teen Kindra doesn’t quite fit in with her family of nature-loving farmers, eco-friendly environmentalists, and vegetarians. Kindra disdains her sisters’ and their searches for love. She vows never to give up her dreams for a man. Kindra has a realization, continues to fight with Les, and becomes a young adult. Kindra starts working at Bradley Benjamin Bean Centre. She meets a handsome co-worker and gets a promotion that will move her to Bridgeport. Part one of a two-part chapter. Kindra says goodbye before moving to Bridgeport. Told from Caleb’s point of view, this is what Caleb does while Kindra is gone. Kindra’s plans to take over the business world of Bridgeport are interrupted. Kindra can’t seem to get ahead and she’s always finding the wrong men. Ronald Fields and his band crash at Kindra’s apartment. Sleeping arrangements become interesting. Caleb sings to Kindra and she and Ronald have a serious talk. Kindra faces the truth and all of its pain. 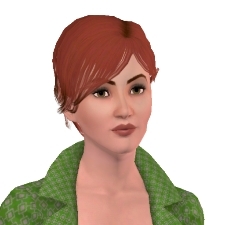 Kindra has to go back to Twinbrook to face her dad and her son.